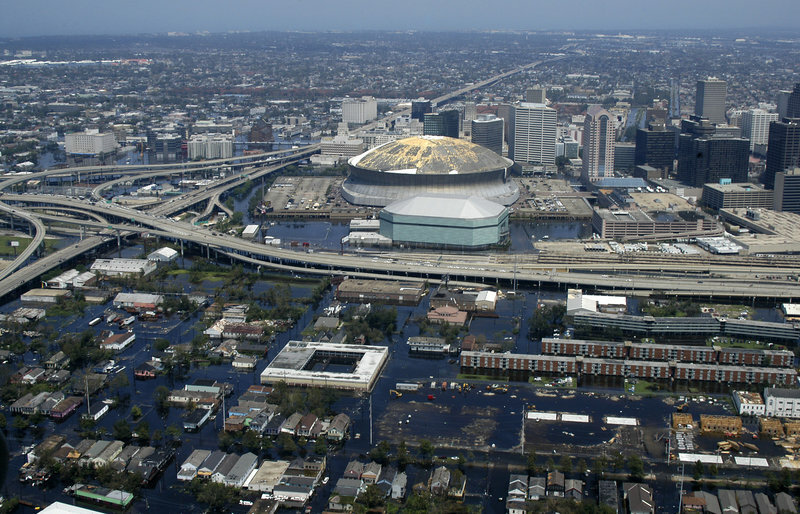 In a probable scenario for climate change, New Orleans will no longer exist. Neither will Atlantic City, N.J. Boston will look much like it did in the 17th century, before the city was dredged up to build a port. And Florida will no longer keep its distinct appendage shape. These geographical changes due to sea-level rise are only the beginning, scientists bluntly stated at a briefing yesterday convened by Senate Environment and Public Works Committee Chairwoman Barbara Boxer (D-Calif.). Storms are likely to travel in different patterns than they did before, much like Superstorm Sandy did. Increasing temperatures are changing the cycles of plants and trees and extending the pollination period to exacerbate allergies. In the hottest cities, it will be uncomfortable to step outside during the day. And limited agricultural growth will severely strain the world’s ability to feed itself, said a panel composed of two atmospheric scientists, one public health expert and one biological oceanographer. “These two years [2011 and 2012] have had the largest number of billion-dollar events,” said Donald Wuebbles, a professor of atmospheric sciences at the University of Illinois. Heat waves and precipitation patterns have changed dramatically, and it’s due to human causes. The Texas heat wave of 2011 was 20 times more likely to be tied to human-induced warming than to natural causes, said Wuebbles. The National Oceanic and Atmospheric Administration declared 2012 the warmest year on record late last year. The worst-case scenarios predict a 14- to 15-degree-Fahrenheit increase by the end of the century, said Wuebbles. Chicago would feel like Birmingham, Ala. While many skeptics assert that climate change is a natural process, previous warming and cooling took place over thousands of years, said J. Marshall Shepherd, president of the American Meteorological Society and director of the atmospheric sciences program at the University of Georgia. Read more: Scientists Detail Severe Future Impacts of Climate Change: Scientific American.